Adenilson Jose Dos Santos, a.k.a. Mestre Doutor, is a Capoeira Master and a Berimbau craftsman. A native of Brazil, Adenilson has devoted his life to the preservation and sharing of Capoeira, a Brazilian folk art. He is the founder of Project Capoeira, a nonprofit education organization and the organizer of Brazilian Day Philadelphia. 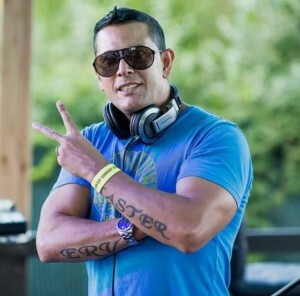 DJ Erv Master has been DJing for Brazilian events around the nation for the last 20 years and he was official DJ of Brazilian Day New York for 15 years. Thais Flaitt Giannoccaro is a multi-disciplinary theatre artist originally from Sao Paulo, Brazil. She has been working in the business for more than 20 years as an actor, director and producer in Brazil and the US. She currently lives in New York with her little dog Penny Lane where she teaches and directs musicals with her High School students. 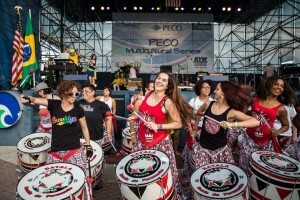 Batalá Philadelphia is a non-profit Samba Reggae percussion band that is part of the Batalá Mundo global arts project. Our mission is to enrich and inspire our communities by providing an Afro-Brazilian musical and cultural experience through arts education and live performances. 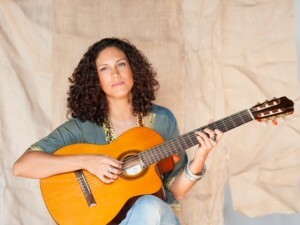 Cissa Paz is a singer-songwriter who has made a name for herself in the Washington DC scene as an eclectic performer influenced by the local jazz sounds and her Brazilian African-Indigenous background. Cissa’s captivating stage presence and soulful voice bring music that is upbeat and engaging. Silva Dance Company: Founded by renowned dancers Leandro Santos Silva and Janete Silva, the Silva Dance Company provides a masterful look into the art of Brazilian Dance. Raphael Rodrigues: From Campo Grande Mato Grosso do Sul in Brazil, he started music lessons at the age of 5 and joined a few orchestras and bands during his childhood. 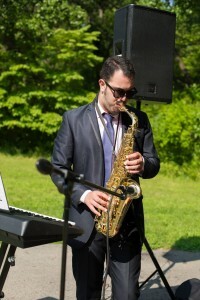 Today, he works at the Paganini Institute of Music and is the manager of the Paganini's Band which performs at weddings and other events. 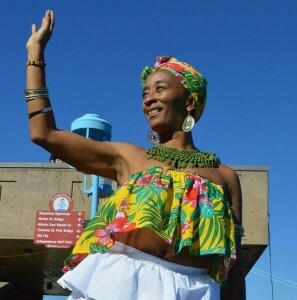 Cleonice Fonseca is a long-time performer of Afro-Brazilian dance and a teaching artist. She currently lives, performs, and teaches in Philadelphia. Nildinha Fonseca: From Salvador, Bahia, Nildinha is an educator, master dancer and choreographer and she has worked with artists such as Daniela Mercury and Carlinhos Brown. Samba dancers: Erica Bowen, Liz Smith, Malaika Anaya and Rubia Silva. Project Capoeira: promotes intercultural understanding and a sense of community through arts education and social outreach. 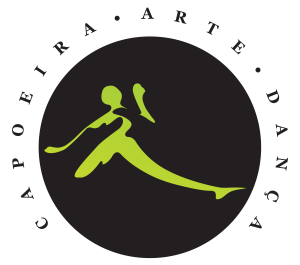 The organization works to preserve, develop and share Capoeira, a Brazilian art form that combines elements of martial arts, games, music, and dance. 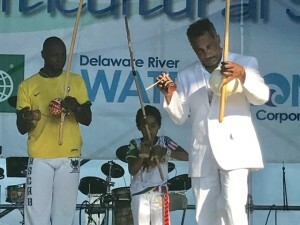 Project Capoeira takes a lead role in promoting Brazilian culture in Greater Philadelphia. Academy of Phresh: is just one of the founded Academies from the Skool District. With an eclectic blend of people hailing from different dance backgrounds, they train together with one goal in mind, to merge them all and to have a phresh state of mind. From the coast where hip-hop was originated, there is no wonder why this east coast company is deeply rooted in hip-hop's foundation, which is breakin', old school (social dance) and even funk style, poppin', lockin' and house. 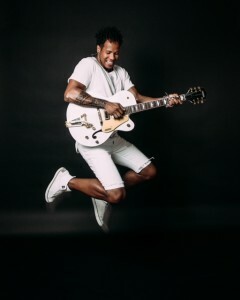 Caique Vidal and Batuque: The band delivers an explosive performance integrating the sounds of Afro-Brazilian percussion with keyboards, bass, guitar and horns to produce an innovative version of samba, reggae,salsa, bachata, pop, rock and Bossa Nova.